In full honesty, this book almost didn’t make the cut for a review. I love the story, characters, and themes, but I have nothing positive to say about the writing. My approach to reviews is that I would rather focus on praising books I adore than bashing those I dislike. This comes from being a writer myself and understanding how much work goes into even books I think are terrible as well as a general preference for putting more emphasis on positive than negative. That said, with books I detest it’s an easy decision: no review. The tricky part comes with books where I have both glowing praise as well as harsh criticisms, in which case I weigh them in my mind and ultimately ask whether or not I still recommend the book. I may like being positive, but I care more about honesty so I feel if I’m going to review a book I have an obligation to call out both strengths and weaknesses as I see them. To get the negative out of the way, almost every single sentence irritated me. It feels like a thesaurus has been taken to the entire novel and the style frequently opts for unusual, obtuse word choice over something simpler and more accurate. I might have been able to get past a formal, wordy writing style were it not for the fact that the book is told in first person. I cannot fathom anyone who thinks this way and it doesn’t feel natural as Ben’s voice. However, I stop reading a book when I realize I’m not enjoying it and yet I liked this story so much that being annoyed about word choice in almost every sentence still wasn’t enough to make me put down the book. 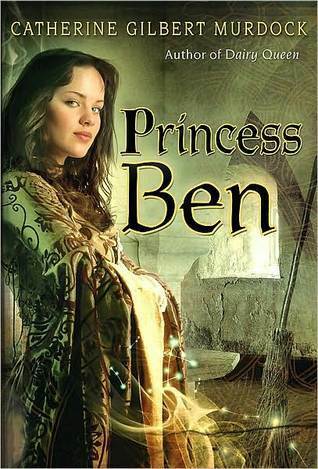 Princess Ben is a great protagonist with an array of both strengths and weaknesses like any real human being. She whines about other people judging her constantly, but doesn’t realize how much she misjudges those around her. Let me back up and describe the premise. Princess Ben is not an ideal princess. She’s overweight and uncouth, argumentative and tactless. When her father the king dies, she’s left in the care of her stepmother until she comes of age to rule. And her merciless stepmother finds fault in every little thing Ben does. Then Ben makes some magical discoveries that lead her down an unexpected path to even more important discoveries about the fate of her country and the people she thought she knew. And the thing is, now that I’m done with the book, I’m not thinking about that word that seemed especially out of place on page such and such. I’m still thinking about Princess Ben and how she changed for the better over time and all she learned about people she thought she had all figured out. Meggie’s magical bibliophilic adventures continue. After defeating the villain that her father accidentally read out of the infamous novel Inkheart years ago, she returns to her normal life. Better than normal, in fact, since now she has her mother back. 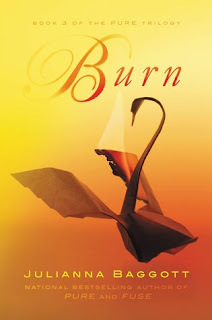 Unfortunately, sometimes moving on is easier said than done and despite all the terrible things that have happened because of that book Meggie cannot get Inkheart out of her head. She idolizes that magical, fictional world and hopes desperately to be read into the story so she can experience all the wonder firsthand. Everyone warns her that the world of Inkheart is as horrible as it is beautiful, but she becomes obsessively fixated on seeing the beauty for herself. So she resolves to find a way to read herself into the book. This is a re-read for me and I confess that I didn't adore this one as much as I did the first time. I suspect it’s a matter of taste. I don’t normally gravitate towards either epic fantasy or multiple POVs. At times the story felt longwinded and unnecessarily complex to me. (Whereas I recall thinking on the first reading that the layered stories and worldbuilding were impressively complex.) The story also feels too dark for my taste at times, especially with that sense of romanticizing the darkness. That said, I still enjoyed this book cover to cover; I think I only overhyped it a little in my own mind over time. Dustfinger will always be a favorite character for me, despite falling into the exact trope of trapped in an endless cycle of tragedy that I took issue with in the above paragraph. 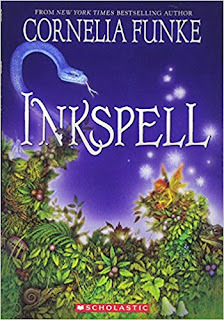 In INKSPELL specifically, I love the complicated, thought-provoking role that Cosimo ends up playing, along the lines of which it’s constantly fascinating to consider the effects an author could have living in the world he created. Above all, I cherish this series for the book-obsessed premise: book magic, lots of avid readers, quotes from real books, stories within stories. These novels were written as a love letter to bibliophiles everywhere and have set up a permanent place of affection for themselves in my heart. I look forward to seeing how the last book in the trilogy holds up on the second read.